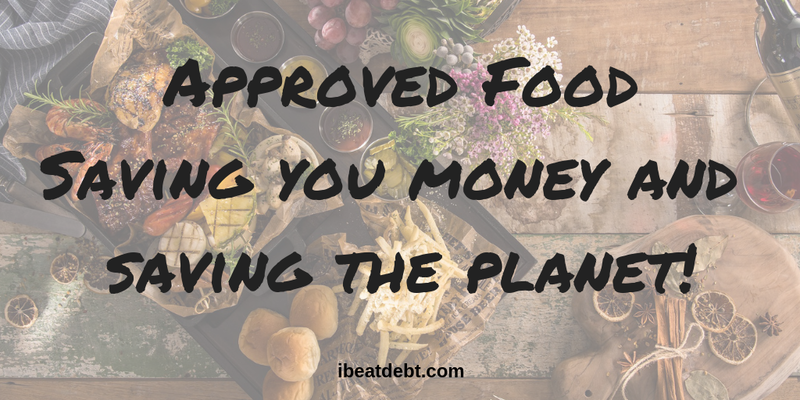 Approved Food – what is it and why is it a good thing? I kept hearing the name Approved Food and didn’t really know what it was, and every time I went to look it up, I would totally forget. Then one of my friends told me that they had just started ordering from there and how great it was so I really needed to look it up. I’m pleased I did! The UK creates over 7 tonnes of food and drink waste every year and Approved Food is doing their bit to conquer this, and bring you great savings! 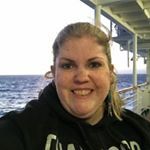 This post is not an affiliate article – I just found something which I really believe in! 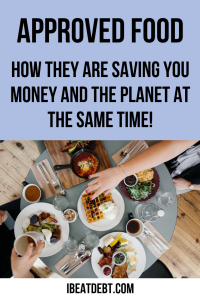 You can save money and the environment which is something I am really passionate about! In short they are “The UK’s best selection of clearance food and drink at discount prices”. How do they do that? Well, the sell items which are either surplus stock, or consumables with short dates on them – which means that customers are getting food and drink etc which is near the “best before” date but for a massively reduced price. But is the food usable? There is a big misunderstanding with regards to “best before” and “use by” dates on food and other consumables. This in turn leads to a massive amount of items being thrown away which are actually perfectly safe and good to eat. Best before means exactly that. The item will have the best quality and most flavour if consumed before that date, however they are still edible after the date. You may however experience a deterioration in quality or taste. Things like crisps and other processed foods tend to have best before dates and in these situations I would recommend trying a product which has a best before date before deciding whether to dispose of the item(s). Approved Food do sell items close to or even slightly past their best before date. Use by also means exactly that – the items must be used by the date on the product. Items with use by dates usually include fresh foods and things which will turn or deteriorate. Things like dairy products and fresh meat are examples of products with use by dates and these dates need to be followed and stuck to in order to avoid food poisoning and other complaints such as upset stomachs or worse. Approved Foods never sell items past its use by date. Approved Food is based in Sheffield and if you are able to, you can arrange to collect your shopping directly from the warehouse, however they offer a courier delivery service to the rest of the UK. You can create an account and log in and then the delivery rates for your area will be correctly displayed. Prices are free if you spend over £55 and have just one box, but for one box (which holds up to 25kg) prices start from £5.99 for the first box, or £8.50 for two boxes! ← What is the meaning of MLM and why is it so bad?